His power: One of the fiercest of Asgard’s warriors (though not an Asgardian himself), Hogun has superior fighting abilities on top of his superhuman strength, speed, durability, and longevity. His story: Part of the Warriors Three (including Fandral and Volstagg), Hogun is one of Thor’s closest associates, often fighting alongside him in battle. In Thor, he accompanies the god of thunder to Jotunheim to confront Laufey, king of the Frost Giants, and does battle with them before being rescued by Odin. He then joins his fellow Warriors and Lady Sif in disobeying Loki in order to travel to Earth and return Thor to Asgard. At the start of Thor: The Dark World, however, Hogun stays behind in Vanaheim—location of the final battle to return peace to the nine realms—in order to be with his people, the Vanir. Though he witnessed an event from that story (the final battle between Thor and Malekith that took place in the Convergence between worlds), he did not play a part in the events. 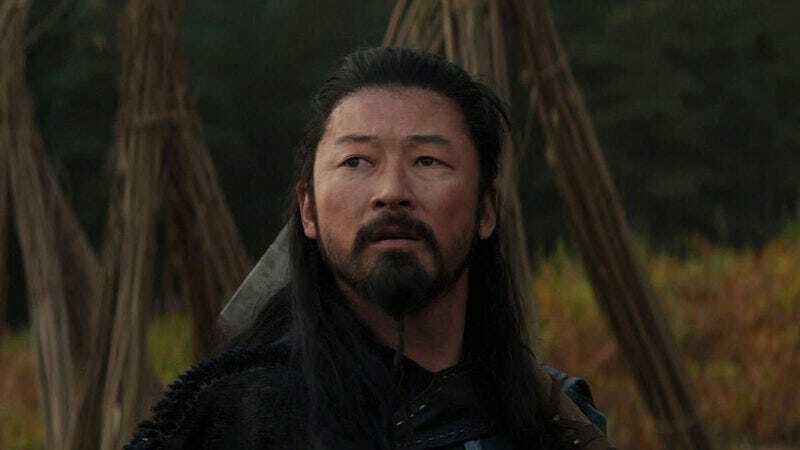 Currently, Hogun is: Probably still with his people in Vanaheim. Where will we see him next? Uncertain. He might make an appearance in Thor: Ragnarok (November 2017), but there’s no evidence of that as yet.